The huge campylobacteriosis outbreak in Havelock North in August 2016 caused by contaminated drinking water was a public health disaster. The second report of the Havelock North Drinking Water Inquiry describes a long list of failings that contributed to the outbreak. In this blog we argue that the failings are much broader than the safety of drinking water supplies and represent a serious erosion and fragmentation of NZ’s national public health institutions. What is needed now is a major stocktake and rebuilding of our country’s national public health capacity. Many of the facts of the Havelock North campylobacter outbreak are now common knowledge. The outbreak was recognised on 12 August 2016 and resulted in an estimated 5,500 cases, 45 hospitalisations, and 3 deaths by the time it was over . Total economic costs were estimated at $21 million . This appears to be the largest common source waterborne outbreak of its type ever recorded. The Havelock North Drinking Water Inquiry released its first report in May 2017 . The Inquiry concluded that sheep faeces were probably the original source of infection, with heavy rain inundating paddocks, allowing contaminated water to enter the aquifer, which was then drawn into a bore supplying drinking water to this community. The Stage 2 Report of the Inquiry, released on 6 December 2017, is a very thorough analysis of the need to improve the management of drinking water supplies in NZ . The Report is hard hitting, identifying a major failure of leadership by the Ministry of Health and multiple deficiencies in the health protection measures applied to drinking water in this country. These deficiencies include lack of national leadership, loss of technical capacity, outmoded legislation, inadequate resources, poor enforcement, insufficient monitoring, lack of coordination, and little training across the sector. The Report presents a long list of urgent and longer-term interventions to ensure the safety of drinking water. A major recommendation is that NZ should establish a ‘dedicated drinking water regulator’. This organisation would have independence, sufficient resources, and technical expertise to provide leadership to the sector. The Report recommends that the Ministry of Health have no role in establishing this regulator . We question the wisdom of setting up a new free-standing water regulator. Health protection is a vital component of public health and responsibility is vested by legislation in the Ministry of Health: ‘…the Ministry shall have the function of improving, promoting, and protecting public health’, (s 3A of the Health Act 1956). What we have seen over many years is a steady erosion and fragmentation of the national public health function to the point that it is now under serious threat. Infectious disease surveillance and outbreak investigation – Managed by the Institute of Environment Science and Research (ESR), under contract to the Ministry of Health. At the local level many health protection functions are managed by public health units within district health boards, but even here some functions have become increasingly fragmented. The litany of failings in the area of safe drinking water applies to many areas of public health resulting in poor environmental health in a range of settings. For instance, New Zealand does poorly at protecting health and safety in the home, with serious adverse effects for the health of children [4, 5]. This fragmentation of responsibilities has led to a loss of technical capacity, lack of leadership on environmental health nationally, and under-performance. An important recent example of fragmentation and poor decision-taking was the Environmental Protection Authority decision to set aside the findings of an international assessment of the carcinogenicity of the pesticide glyphosate despite opposition from the Ministry of Health (see this previous blog). This fragmentation matters because substantial health gains depend on addressing key health determinants. A public health perspective needs to be present in discussions of issues as diverse as housing policy, biosecurity and agriculture and this means having a critical mass of experienced and well-trained staff to engage with key issues and respond to them. The importance of sustaining a focus on broad health determinants is clearly demonstrated by the Havelock North outbreak. Source water is increasingly vulnerable to threats like climate change and associated extreme rainfall events along with intensification of agriculture. There is a real need for ‘up-stream thinking’ to move beyond a focus on hazards to protecting the quality and sustainability of the NZ habitat (see this previous blog). The Inquiry Report acknowledged the importance of protecting source water from such threats and includes some recommendations on amending the Resource Management Act and National Environmental Statement Regulations to address these concerns . However, it is not clear that the proposed drinking water regulator would be positioned to influence these upstream issues, such as intensification of farming, that will ultimately determine much of the drinking water quality in NZ. In addition, the loss of critical public health mass within our Ministry of Health makes it difficult for NZ to mount a rapid and effective response to emerging issues such as the health effects of climate change , antimicrobial resistance , and future pandemics . Whatever the hazard, health protection functions involve common activities and require similar technical skills, such as epidemiology, risk assessment, toxicology, environmental microbiology, public health engineering, public health informatics, health law and public health policy. We argue that a small country like NZ is much better off grouping these scarce competencies within a single agency, rather than splitting and distributing capacity in many different national organisations. 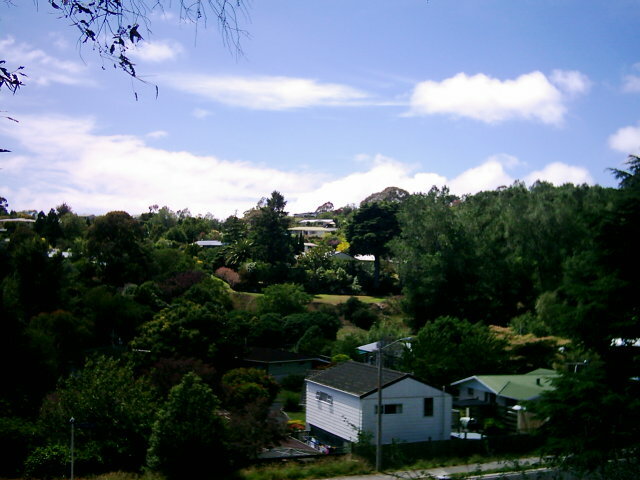 Suburban Havelock North. Wikimedia Commons. The new coalition Government will now be digesting the Inquiry Report and its recommendations and considering how to respond in the most effective way to protect the health of the NZ population and environment. We suggest that this an ideal opportunity to address the wider question of rebuilding a substantial national public health agency. 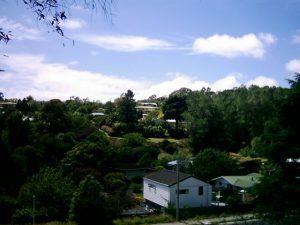 Contamination of drinking water is one of a long list of public health threats facing New Zealand. A useful first step would be a stocktake of essential public health functions, asking what competencies are needed, and where they are best situated. Options would include re-establishing a well-resourced Public Health Group within the Ministry of Health. Whatever institutional arrangement is chosen needs to be sustainable and avoid the sort of institutional downsizing that saw the demise of the former Public Health Commission (‘disestablished after a productive two years’) and subsequent steady erosion of capacity at the Ministry of Health. Some review of health protection functions is inevitable in any case given other changes in Government agencies (for example, the location of the food safety function will need to be reviewed given that the Ministry for Primary Industries (MPI) is being disestablished and split into separate entities). Without a highly functional core public health capacity, NZ is in danger of lurching from one crisis to another. Workplace health and safety deteriorated for many years, and it took the Pike River Mine disaster in 2010 to remind us how bad it had become. Indeed the list of occupational health and safety deficiencies identified by The Independent Taskforce on Workplace Health and Safety reads much like the Havelock North Inquiry . In response to that Taskforce and the Royal Commission on the Pike River Coal Mine Tragedy, we got a new law (Health and Safety at Work Act 2015) and a new regulator (Worksafe). Many advances in NZ’s public health infrastructure have come in response to serious external threats. The forerunner of our Ministry of Health (Department of Public Health) was established in 1900 in response to the threat of plague . The enlightened Health Act 1920 was a response to the 1918 influenza pandemic . Perhaps the 2016 Havelock North water outbreak can stimulate a similarly profound reassessment of NZ’s public health capacity? Next year is the centennial of the 1918 influenza pandemic, which is the greatest natural disaster in NZ history. There would be symbolism in using this anniversary to establish a revitalised national public health agency. Government Inquiry into Havelock North Drinking Water: Report of the Havelock North Drinking Water Inquiry: Stage 1. Auckland; 2017, May. Moore D, Drew R, Davies P, Rippon R: The Economic Costs of the Havelock North August 2016 Waterborne Disease Outbreak.. Wellington: Sapere Research Group; 2017, August. 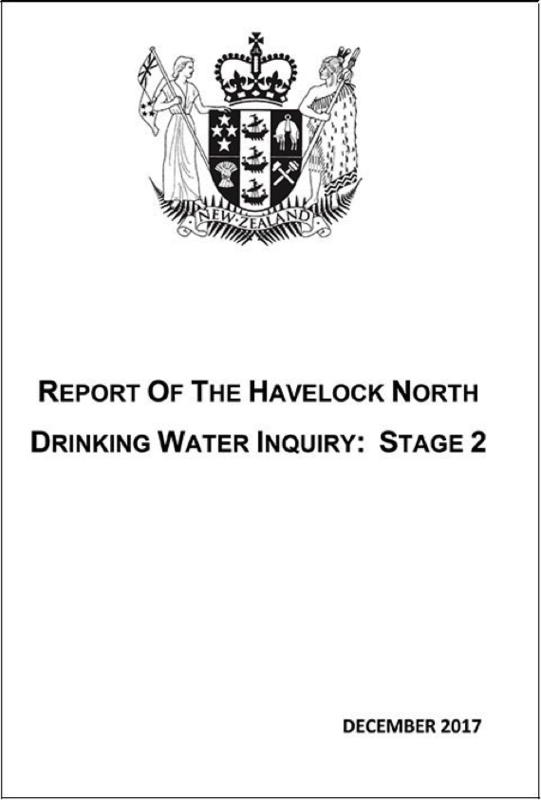 Government Inquiry into Havelock North Drinking Water: Report of the Havelock North Drinking Water Inquiry: Stage 2. Auckland; 2017, December. Kelly A, Denning-Kemp G, Geiringer K, Abdulhamid A, Albabtain A, Beard M, Brimble J, Campbell A, Feng S, Haminudin M et al: Exposure to harmful housing conditions is common in children admitted to Wellington Hospital. N Z Med J 2013, 126: 108-126. Baker MG, Howden-Chapman P: Time to invest in better housing for New Zealand children. N Z Med J 2012, 125: 6-10. Royal Society Te Apārangi: Human health impacts of climate change for New Zealand: Evidence summary. Wellington: Royal Society Te Apārangi; 2017. Williamson D, Baker M, French N, Thomas M: Missing in action: an antimicrobial resistance strategy for New Zealand. N Z Med J 2015, 128: 65-67. Scott J, Wilson N, Baker MG: Improving New Zealand’s preparations for the next pandemic. Aust N Z J Public Health 2017, Nov 22. Hornblow A: New Zealand’s health reforms: a clash of cultures. BMJ 1997, 314: 1892-1894. The Independent Taskforce on Workplace Health and Safety: The Report of the Independent Taskforce on Workplace Health and Safety. Wellington; 2013. Dow DA: Safeguarding the Public Health: A History of the New Zealand Department of Health. Wellington: Victoria University Press; 1995. It is not just Health. It is workplace testing, water, medical, dairy, food safety and chemical testing. NZ is 30 years behind the rest of the world when it comes to measurement expertise in these areas. There is no centralised expert base able to act as an independent sounding board and offer independent expert advice. For some inexplicable reason, the Mole seems to be a base unit that is not assumed to be a “physical unit”. This is wrong. It is not just a “public health reference laboratory” that is needed, It needs a “standards laboratory” to include all the above within its regime. For some reason NZ continues to take the attitude that these competitive laboratories (see Para 847) are able to fulfill this need and they will keep an eye on each other with little reference to expert advice. It is highly questionable if this can continue in the light of this report. NZ already has the Measurement Standards Laboratory of New Zealand: The National Standards Regulations 1976 describe it as “that laboratory of Callaghan Innovation that maintains the principal standard measures for New Zealand”. It’s about time a concerted effort was made to see that it did. NZ needs to build a Mountain out of this Mole hill. I’m not really convinced that measurement is the problem per se. I think the authors of this article have nailed it.